LONDON, UK – February 12, 2018 – Syneos Health Communications bolstered its European Leadership team with the appointment of three senior leaders: Nicky Walsby, Andrew Thomas and Ellie Duncanson-Hunter. These hires come on the heels of the merger of INC Research and inVentiv Health, creating Syneos Health™. Syneos Health Communications is the agency network of Syneos Health, the only fully integrated biopharmaceutical solutions organization. Nicky Walsby joins as Managing Director, Public Relations for Syneos Health Communications Europe, overseeing the network’s industry-leading public relations agencies in Europe – Biosector 2, Chandler Chicco Agency, and Chamberlain Healthcare Public Relations. With more than 17 years of experience in global healthcare strategy and communications for the pharmaceutical and not-for-profit sector, Walsby most recently served as Executive Director of Health Unlimited. In this role, she was responsible for the health agencies of Creston plc, including Red Door Unlimited, DJM Unlimited and Rock Unlimited, rising through the ranks at the company in her 15-year tenure. During this time Walsby oversaw global integrated business and gained expertise in product launches, patient engagement, and digital and innovative solutions. Andrew Thomas will serve as the Head of Integrated Communications for the EU, partnering with the firm’s many customers who work with Syneos Health Communications for all of their marketing communications needs including advertising, PR, medical communications, and digital/social. He brings to the role nearly two decades of experience across a range of communications and media relations activities spanning the healthcare sector, in both agency and in-house roles at domestic, pan European and global levels. Most recently, he was Deputy Managing Director for Red Door Unlimited. Ellie Duncanson-Hunter joins as European Marketing Manager for Syneos Health Communications. Leveraging her experience from her time at Health Unlimited and PMGroup, she’ll oversee brand marketing and external communications. 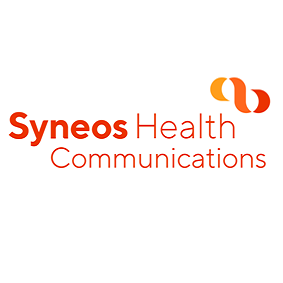 Syneos Health Communications is the only healthcare communications network that is part of a company on the frontlines of healthcare, with a clear view into the everyday complexities of life and health. As part of Syneos Health, our agencies – consisting of leading brands and experts in advertising, branding, public relations, managed markets and medical communications – are engaged in every point of influence in health, providing real-world insight into markets and audiences in ways that no other partner could. We work in scalable, collaborative teams that partner across disciplines and geographies to deliver integrated communications strategies that accelerate brand performance. Our agency teams have received more than 1,000 awards for work that disrupts markets and drives behavior change. We create ideas that will work in the real world because they were built there. Find out more at syneoshealthcommunications.com. What future for pharma in a digital world?